It feels like I haven’t posted a recipe for soup for ages. And since I am a true soup lover, this is something I have to fix immediately. So here is a recipe for Super Greens Soup (Paleo, Whole30, Low Carb) we had for breakfast the other day. Yes, you read that right. Soup for breakfast. Boom. 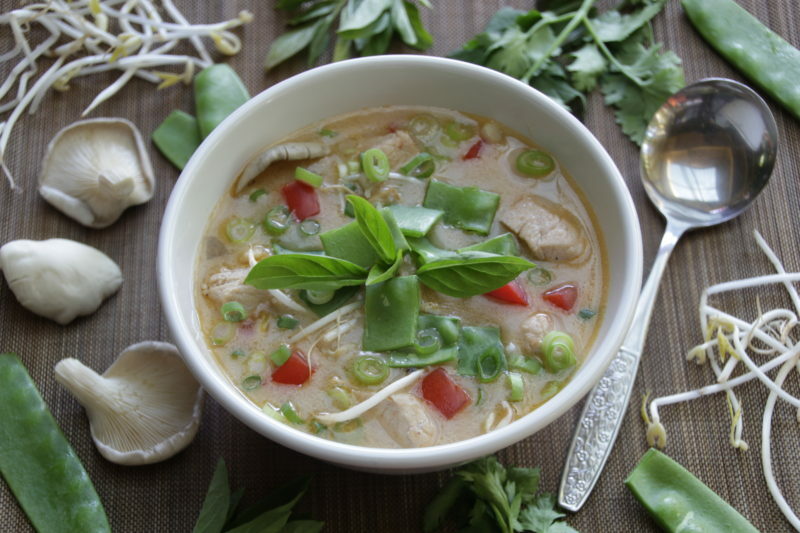 Because what’s easier to digest in the early morning than a nice bowl of warm healthy soup? Not that we wake up early. That would probably kill me. But I like to have a soup for breakfast anyway. It’s ready to go, so there is no hastle about not having time for a healthy breakfast. And you can just load with all the good stuff you can imagine. 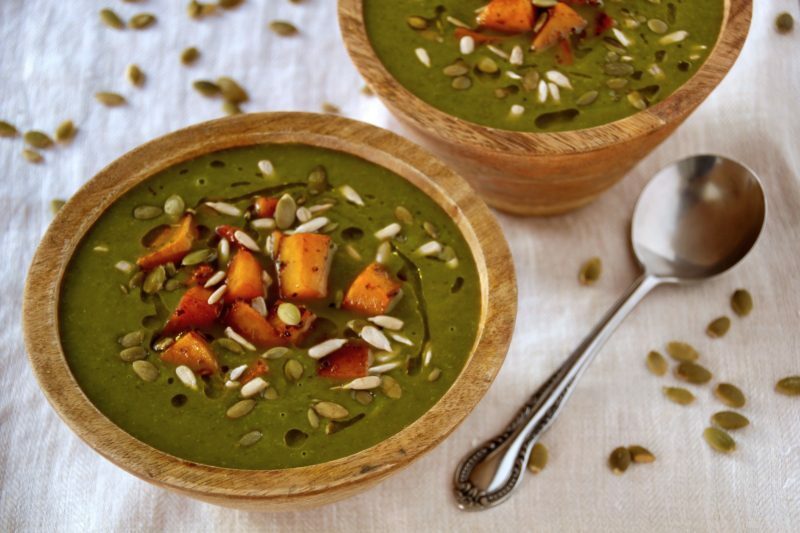 Like the Super Greens Soup (Paleo, Whole30, Low Carb). It looks like winter might be finally coming to Brisbane. After a long time we woke up to a cold and rainy day today. Well, the temperatures are still similar to an average summer in Czech Republic, so it’s not that bad. And not that I like it, but I guess we need the rain every now and then. And finally the cooler weather is a good excuse for me to cook more soups. So I’m gonna start the winter season with this Super Easy Leek And Sweet Potato Soup. I always loved to try new meals and ingredients when possible. But it wasn’t so easy at all the times. Just so you know, I am from a small Czech town with 7000 residents, where the new is not accepted so easily sometimes. Just for example, apart from Czech restaurants, we have one Chinese restaurant and few pizza places in my hometown. And that’s as far as the curiosity of new things can get. I believe that these days it might be better and the young people are more open to the new flavours. But it will probably still take some time before the food mentality changes here. 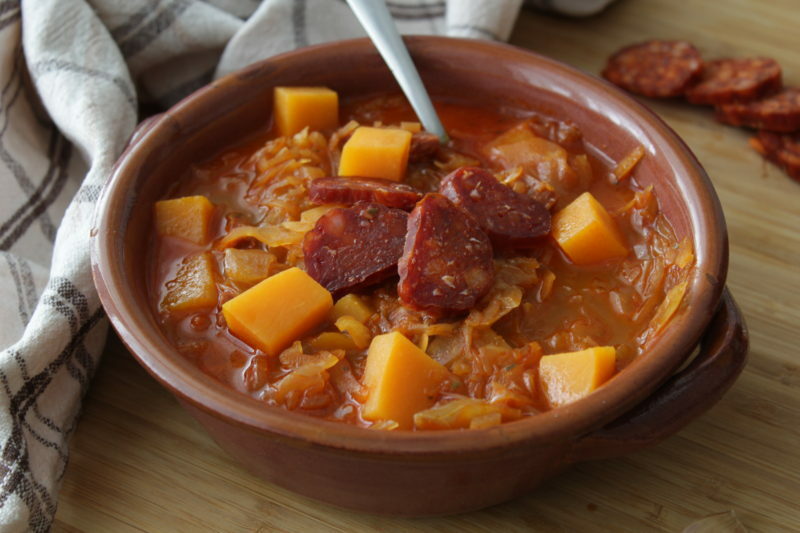 This recipe shows my (paleo friendly) version of one Eastern classic – savory Sauerkraut Soup with Klobasa (Paprika Sausage). 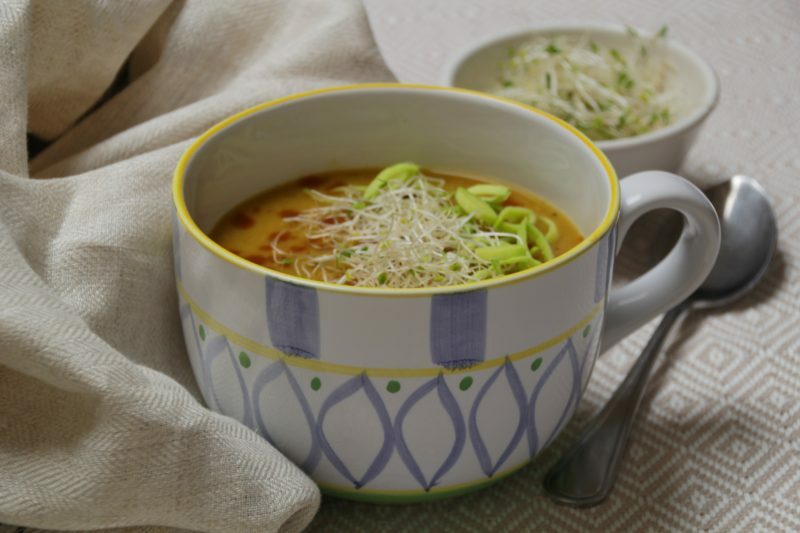 This rich soup is a fixed star in the kitchens of Middle and Eastern Europe. Yet it has many forms as every Slavic country has their own interpretation of it and almost every family carries their own unique recipe. 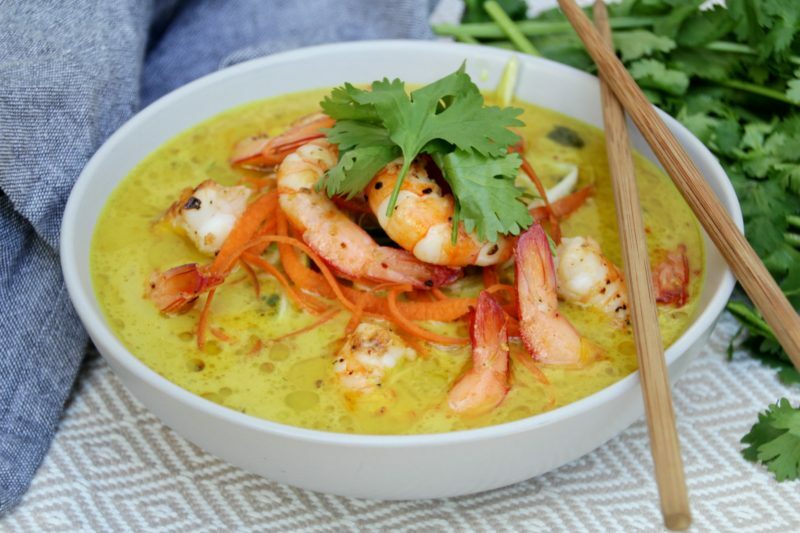 This Butternut Squash Cream Soup with Turmeric is a perfect dish for winter weather.